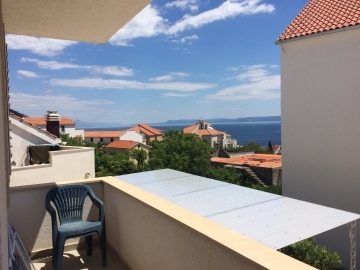 Apartment Santamaria is located in the town of Bol on the island of Brac, off the Dalmatian Coast. It's a great base for your holiday in Bol, frequently voted the number one tourist destination in Croatia. We can help you plan your journey, and we have English-speaking local agents to greet you in Croatia and take you to the apartment. Bol is the home of Zlatni Rat, a beautiful pebble promontory beach. It boasts dozens of restaurants, bars and cafes, excellent watersports facilities and 26 clay tennis courts. It's a popular holiday destination with both families and couples due to its fun but friendly atmosphere. 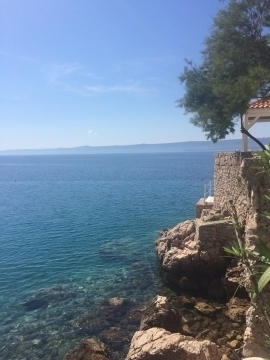 Bol is usually reached by flying to Split Airport (direct from 9 UK airports) and then taking a boat to the island - please see the Directions page for full details. Please see the Gallery section for lots of photos of the area and the apartment.